Option overload is a very real thing, particularly in the world of compressors. Compressors tend to be a little daunting to learn to begin with, as there’s a lot they can do (I have a comprehensive course on it if you want to understand compression thoroughly). Couple that with the fact that almost every software brand has its own compressor series and you’ve got an overwhelming number of options. In this article, I’m going to pare things down a bit and take a look at my favorite compressor plugins, along with a few mix tips to go with each of them. You know what’s great? When a single compressor covers almost all of your compression needs. You know what’s even better? When that compressor costs $30. This is true of the MJUC “Vari-Tube” Compressor by Klanghelm. The MJUC is actually 3 compressors — the first being kind of like an Altec style Vari-Mu, the second like a STA-Level 176, and the third being kind of its own thing. While the second and third modules offer the most functional controls, I find myself using the first model most frequently. Surprisingly, while it is one of the cheapest compressors in my arsenal, it’s the one I reach for most commonly for vocals. 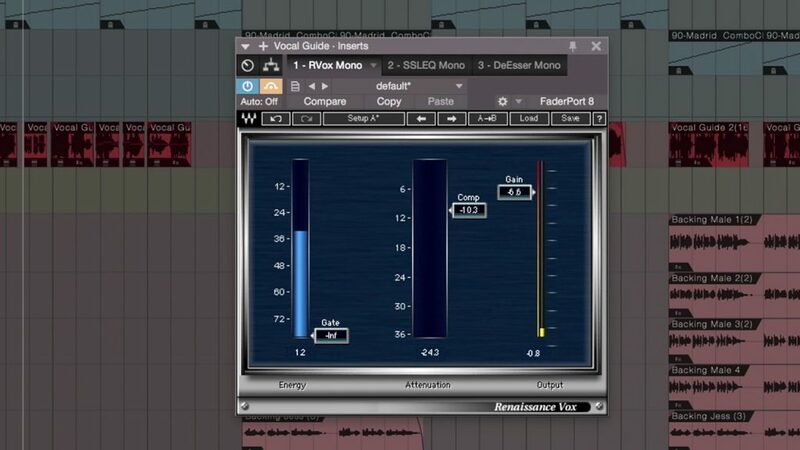 Vocals: The secret to vocal compression is in the timing constants. On Pop vocals, I’m frequently using module 1 with the timing constant set to “5”. This setting is a fast release and program-dependent release, similar to the Fairchild 660. This means that as the incoming signal changes, the release timing changes as well, making for a more transparent release. For Rap vocals, I’m frequently going to module 2 where I start with the “density” button clicked in. The “density” button emulates a second compression stage that radically effects how the ratio and threshold seemingly interact. I find if I don’t begin with this in, the compressor is a little tricky to set. From there I’m setting the attack to 12 o’clock and the release as fast as I can get away with without any distortion creeping in (which is usually all the way left or a click or two off). As an added bonus I like to turn the “timbre” control a little to the brighter side to add a bit of pop. But that’s a saturation thing, not a compression thing. It’s no secret that I’m a big Sound Radix fan and have been for a long time. The POWAIR plugin is unparalleled when it comes to transparency. 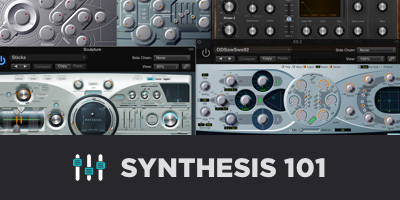 It is about the closest thing you can get to level automation in the form of a compressor. 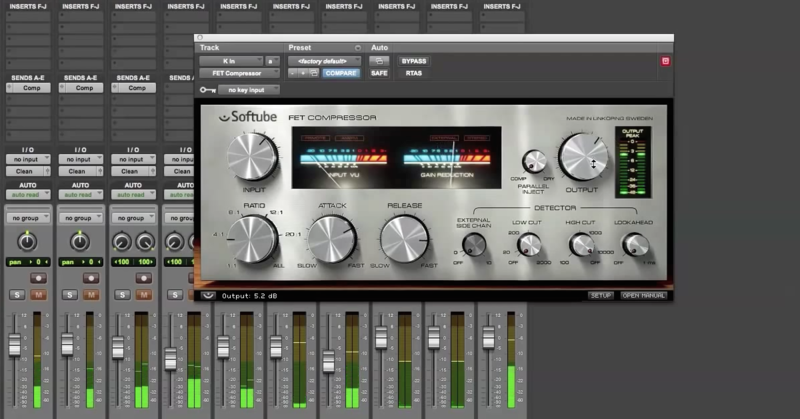 It was designed with mastering in mind but it’s very useful for instruments, group busses, vocals — really anything. The compressor functions in two stages. The first is a general leveler which pulls the source toward a target threshold whether upward or downward. The second is a compressor stage with a fixed threshold, knee and ratio. We also have variable attack and release, sidechain filters and stereo linking. We also have a few unique controllers, and that’s where the magic in this compressor lies. The first is a “Punch” control that allows initial transients to come through without changing the attack time. The second is an “Adaptive” mode that effectively moves the threshold relative to the incoming signal level so that compression is applied more uniformly regardless of whether or not the playing is soft or loud. And the third mention is a two-fer; the release has a tempo setting which allows you to auto time to the music (very convenient) and an automatic makeup gain toggle that is actually accurate (pretty much the only makeup gain that is programmed to work correctly in any software). Aside from the architecture being atypical of most compressors, the actual sound is so transparent it can throw off an experienced ear. It is surprising how much gain reduction one can get away with doing while using this thing. This makes POWAIR a little trickier to use than most compressors. However, once it’s learned it’s an irreplaceable tool. Music Buss: Working in Pop, Hip Hop, R&B, Reggaeton and Dance music, it’s extremely common to receive reference files that are highly compressed. The vocals parts are usually tracked to the compressed 2-track. But the individual trackouts (stems) simply do not match up to this highly squashed version, because the compression inherently changes the balance and feel of the record … usually in a good and also bad way. When mixing these genres it can help to do a bit of compression on the overall music buss to help get some of that 2-track feel, but doing it on our own terms rather than trying to rework a brickwalled, decently mixed version from the producer. The two stages allow us to get the “glue” effect of heavy limiting without the overly dense, transient dead, and somewhat distorted side effects. Good ol’ RVox. The fixed value, single slider compressor that’s been around longer than some of the people using it. I am not going to lie — to this day it is still one of the best compressors, particularly for vocals, ever made. It’s an “opto” style compressor that adds a little low mid presence along the way, along with a gate. It’s very simple and very effective. 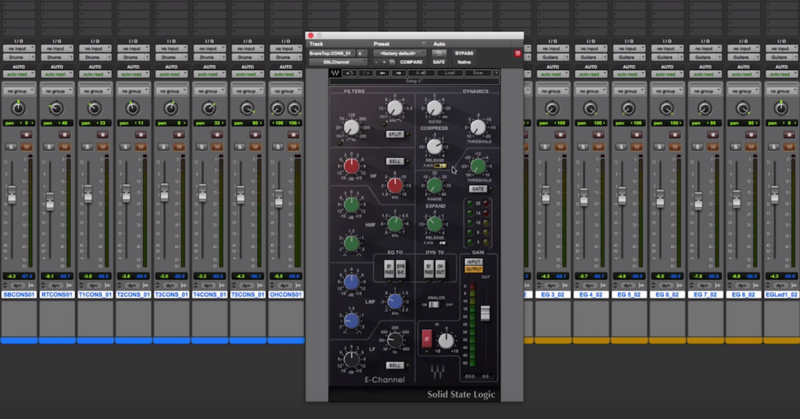 Vocals: There are two little tricks to RVox that really make it sing, for me. The first is to hold shift and click both the gain and output slider so that as you are applying more compression you are also turning the output down. This way the level stays about the same and you can focus more on what the compression is doing. Once it starts feeling “choked” or “pumpy”, back it off and that’s the sweet spot. The second trick is where it’s placed in the chain. I like it as the last compression stage. It’s a finisher. Get everything all nice and situated with POWAIR or MJUC, and then use RVox at the very end to just give that vocal a little extra punch. 2 to 3 dB of gain reduction usually does the job here. POWAIR is to “transparency” as Eventide’s Omnipressor is to “very obvious.” Omnipressor is not subtle. Maybe it can be if used a certain way, but that is not the intention at all. Going from all the way left to all the way right on the function control — omnipressor first acts like a gate, then expander, then lands in bypass right in the middle, then becomes a typical compressor, followed by a limiter, followed by a dynamic-reversal control where the output yield is actually below the threshold. Effectively this means you can do anything from completely killing the sustain of a signal, to making the sustain louder than the attack. This is almost a sound design piece more than a compressor as you can modify the envelope of a sound to something completely unrealistic. Drums, Hell Yes, Drums: When it comes to compressing the royal snot out of things, few elements are so obliging as drums. One of the coolest things to do with Omnipressor is to set your drums up on three tracks. A dry track, a track with Omnipressor set as an expander/gate, and a track with Omnipressor set at in dynamic-reversal mode. This essentially allows you to shape the attack sounds and the release sounds on two parallel tracks and then blend them in as you choose. For super boomy, fun drums I recommend playing up the dynamic-reversal track, and then using the expander/gate track in the context of the mix just to get the drums to poke forward a touch and still have bite to them. It takes a second to get the feel for this but once you do it is money-money-money. This works on the drum buss as well as on individual close mics. I’d be amiss to have a compressor list without mentioning my favorite multiband: FabFilter Pro-MB. This is another compressor that has a lot of options. You have pretty much every compression control you can think of — variable timing, ratio, expansion mode, mid/side, stereo unlinking, knee, and so on — and you have those settings for every band. The GUI is fortunately very intuitive so the learning curve isn’t too steep. That said it does take a while to get a feel for multiband in general, particularly when it comes to using more extreme settings. Once you have it, the FabFilter Pro-MB is a very powerful tool. Kick Drum: Whether it’s an acoustic kick or a sample, we often want the low end to either sustain longer for a weightier kick, or cut a little shorter for a punchier kick. Kinda depends on where the bass instruments are living and what they’re doing. To make the sub of a kick extend, create a shelf band on just the deep low end (maybe 80 Hz or lower). A softer slope is usually good because we retain better transient definition and pulling up a bit of 100-200 Hz by proxy might not hurt anyway. Set the attack very fast (first quarter turn or faster), just making sure we aren’t really messing up our initial transient. Set the release fairly fast as well. Set the GR to -12 to -14. We are aiming to do 6 to 12 dB of gain reduction here! Lastly, set the knee pretty hard (5 dB or less). Once we’ve got our compression action working, now we turn the output up on that band by the same amount as our total gain reduction. This gives us the same overall amount of low end, but with a lot more body! If we want a punchier kick drum we are going to use expansion mode. We are going to use the same settings, except this time we aren’t going to use any output gain. We want our attack super fast, our release fast, our knee hard, and we’re going to use our threshold to determine where the low end needs to start attenuating and ratio to determine how much. Once this is done we may want to turn up the kick overall as it won’t have the same power and presence it did before. By shortening the low end of the kick we can bring clarity to our low end, particularly if we have another instrument driving the sub. 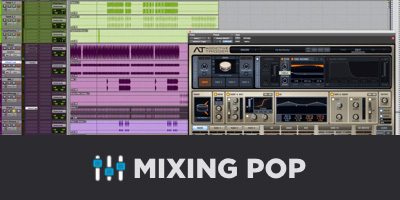 If you’re ready to take your mixes to the next level, check out our full-length course: Mixing with Compression. We teach you everything you need to know about compression: what it is, what it sounds like, and how to get better mixes by masterfully manipulating shape, tone and dynamics.